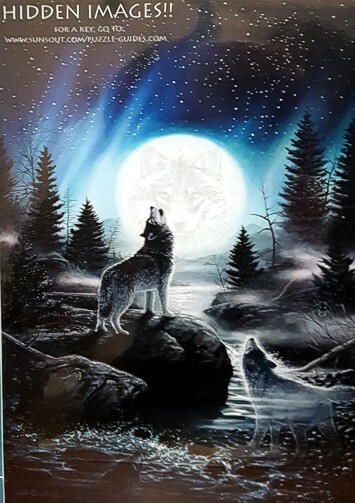 Call of the Pack Wolf Puzzle features the beautiful artwork of Chuck Black. It contains hidden images that will be a challenge to find. This Wolf puzzle is 100% made in the USA using eco-friendly, soy-based inks on recycled board. They puzzle comes nicely boxed with a picture of the puzzle on the cover. Makes a fun and beautiful Wolf gift.